Greg Popovich: We made shots and they didn’t have as good a night shooting the ball. Sometimes it’s as simple as that. There’s other factors, you think about turnovers, blah, blah, blah. But we shot it and they didn’t. Mark Jackson: This is a make-or-miss league. That’s all. If we don’t play our brand of basketball we are not good enough to just win. Klay Thompson: Collectively, we didn’t shoot as good as we did in the first two games. 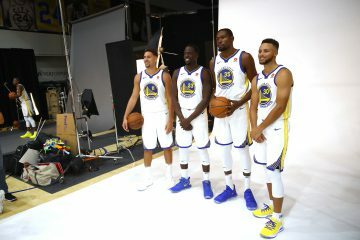 For a team built primarily around shooting the basketball, can it be as simple as “make-or-miss” in relation to wins/losses with the Warriors? Over-simplication is often short-sighted, but it holds true in this particular situation. 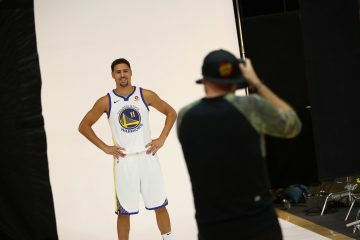 Stephen Curry and Klay Thompson combined to make 1,134 field goals this regulars season, which accounts for 36% of the team’s shots. The starting backcourt attempted 2,594 field goals out of a team total 6,841 (38% of team’s total shots). The narrative these playoffs — and especially after Game 2 — was the outrageous shooting numbers (48% FG, 40% 3PT) and the complementary play between Curry and Thompson. If one was off, the other was on. It wasn’t so much that these two players can’t both be off at the same time, it just hadn’t happened yet. That was the worst case scenario, and one everyone thought would never come. Friday night, we saw what happens when that scenario indeed happens. 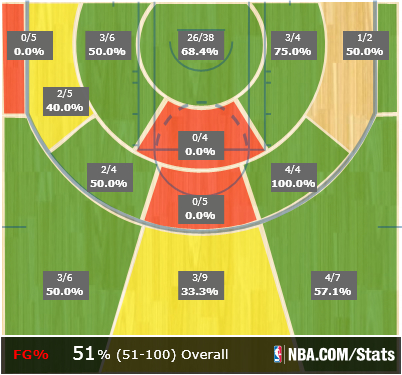 Curry and Thompson combined to shoot 12-for-37 (32%) and the team only made six (out of 20 attempts) three pointers. 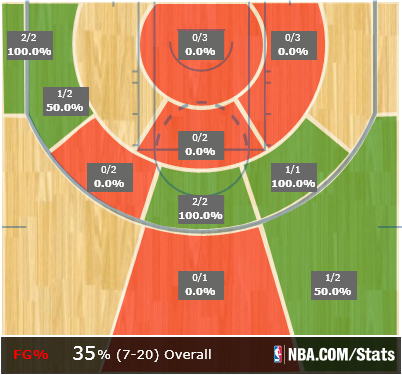 There simply wasn’t that third consistent option out there on the floor. Jarrett Jack — since David Lee’s injury at least — has tried to be this third option, and for the first half kept the Warriors at bay with four shots in the 2nd quarter before failing miserably in the second half (on both ends of the floor). Harrison Barnes was aggressive going to the basket but couldn’t find his range from outside the paint, Andrew Bogut was 5-for-9 but can’t be counted on for consistent production and Carl Landry was 4-for-4 on shots inside the circle but struggled to get anything going from the outside. The lone bright spot from was from David Lee himself, who in three minutes looked to be very much the Lee of old on the offensive end. Lee said postgame he’s feeling better than he did in the Denver series, but that bar was set pretty low. Coach Jackson said he didn’t keep Lee in the game because he didn’t like the way Lee was running his last trip down in the 2nd quarter. Lee’s performance in Game 3 was nothing more than a tease, and it doesn’t sound like that will change as the series progresses. 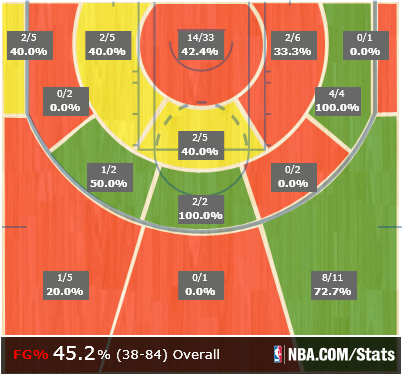 Thompson succeeded in the mid-range but struggled from inside the free throw line, a scary (and troubling) trend. 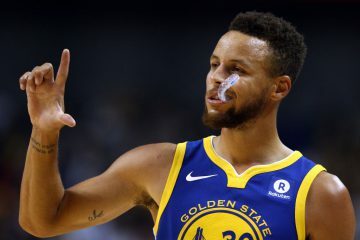 Murphy’s Law was in full effect Friday night: Warriors were hounded on defense, missing shots, Curry turned his left ankle and the Spurs reminded everyone why they’ve been the class of the NBA for years. 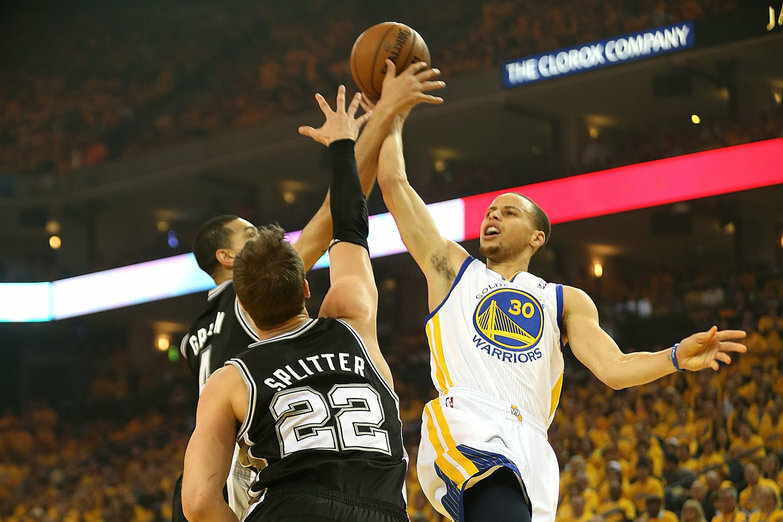 The Warriors were outclassed in every facet Game 3. For the first time this postseason they showed their age and inexperience. It was a scary sight for fans, and for the Warriors to have any chance this series they need to muster up the same urgency they’ve played with this entire playoff run. If there’s anything the Warriors have proved this entire season is their incredible poise and resiliency. Bouncing back from each loss these playoffs with a win, the Warriors are incredibly mature for their age. This youth showed in Game 3, but it’d be foolish to assume a repeat performance is all but certain come Game 4. The focus must start on the defensive end, as numerous players stated after Game 3. Throwing different looks at Tony Parker (Bazemore?) 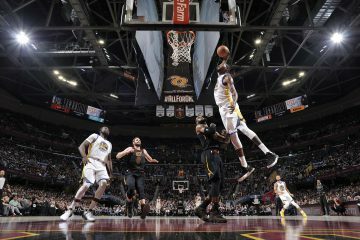 in Game 4 or simply putting hands up on jump shots will pay dividends, but consistent effort and focus will prove to be the Warriors biggest improvement from their loss Friday night. 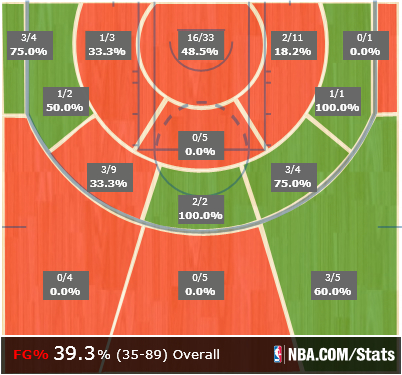 Will the Warriors shoot a measly 39% from the field in Game 4? Will Curry and Thompson combine to shoot 32% again? Will the team shoot 32% from deep while only making six treys? Will Parker score 32 points (25 in the first half) again? All signs point to nay, but on even shorter rest (12:30 PST) and with Curry hobbling, the signs aren’t as clear as they once were.